Hotel Lake Palace is a heritage hotel run by RTDC. It is located on the bank of Lake Siliserh. It was built by Maharaja Vinay Singh in 1845. The beautiful Siliserh lake near the palace stretches over an area of 10.5 square kilometers. The palace now converted into a heritage hotel attracts tourists visiting Alwar. The serene lake is used by the vacationers for boating, sailing and fishing purpose. Hotel Lake Palace offers royal suite AC and Non AC rooms which are well decorated as a royal one with all luxurious facilities. It has a restaurant which serves delicious Continental, Indian and typical Rajasthani cuisine. Hotel Lake Palace offers 3 Suite , 7AC rooms and 4 Non AC rooms attached with all luxurious facilities. It has a restaurant which serves Rajasthani, Indian and Continental cuisine. Dining in Hotel Lake Palace: Multi cuisine restaurant which serves delicious Continental, Indian and typical Rajasthani cuisine. 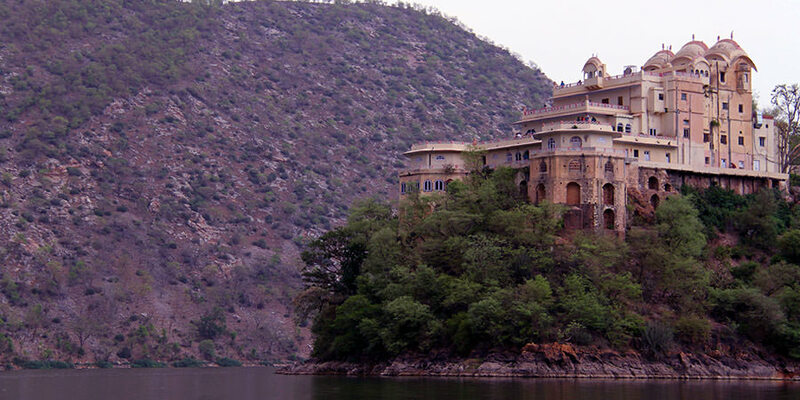 Hotel Lake Palace is located at a distance of 163 km from Delhi airport, 13 km from Alwar bus stand and railway station. Siliserh has some tourists places to visit such as Alwar Government Museum, City Palace, Sariska Tiger Reserve, Neemrana Fort.